Gary Warren has left Caley Thistle. Caley Thistle have confirmed the release of skipper Gary Warren with 12 months still to run on his contract. 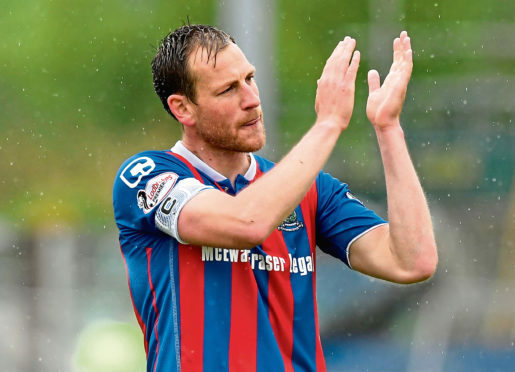 English defender Warren had been made free to leave Inverness by manager John Robertson earlier this summer, as the club looked to cut their wage bill ahead of a second successive season in the Championship. Warren’s release has now been confirmed, and Inverness chairman Graham Rae said: “The board of directors would like to offer our sincere thanks to Gary for his outstanding service during his 6 years with us. Warren, who joined Inverness from Newport County in 2012, said: “I have thoroughly enjoyed my time here in Inverness and have been part of a great set up.